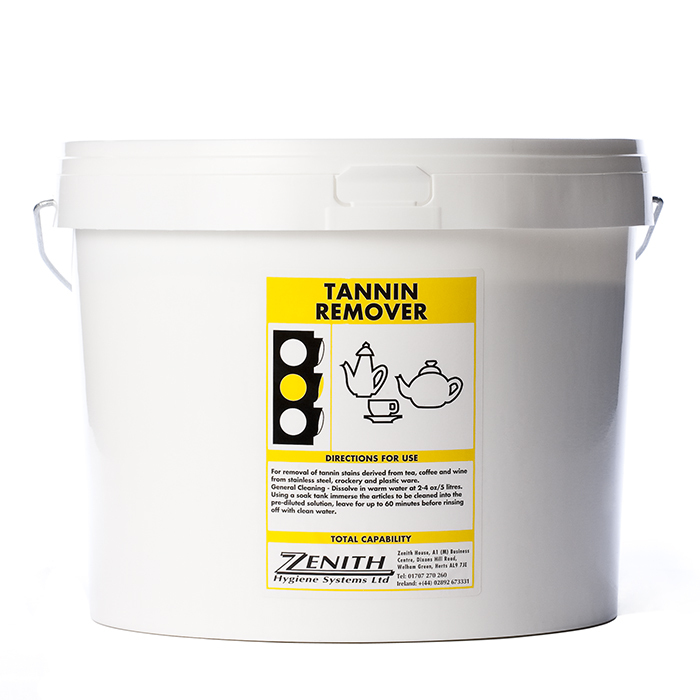 Tannin Remover is a specially formulated destainer for the removal of stubborn stains from cups, crockery and plastic materials. • Contains active oxygen for the effective removal of tea, coffee and fruit stains. • Formulated with a blend of scale inhibitors and alkalis for the removal of dried on food from cups, crockery and plastic materials. • Removes stubborn tannin stains including those derived from tea, coffee & wine. • Effectively assists in the removal of other residues including burnt-on food residues and starch. • Easy to use, free-flowing powder. • Suitable for all surfaces commonly used in the kitchen.